Our Team — KIDS Global Network, Inc.
Ann is a graduate of the University of Colorado with a Bachelor of Arts in Economics. A resident of Evanston for over 25 years, she was active in bringing Artist in Residence programs to both Oakton and Chute schools while her children were in attendance there. Through KIDS Global Network she has designed and initiated photography, self-portrait and writing programs in the Chicago Public Schools partnering with 826Chi, a non-profit organization focusing on writing led by the author Dave Eggers. She has also spearheaded efforts to create a pen pal project to connect Oakton School and a primary school in South Africa. This resulted in the building of two libraries for two primary schools in South Africa. More recently, she has trained in the Photo Voice methodology during a 3-day workshop offered by the international Photo Voice organization. Alison Witt-Janssen has diverse experience in administration, cultural arts programming, videography, grant writing and has an art and photography practice. She holds a BA in Art degree from Southern Oregon University and a Certificate of Museum Studies from Northwestern University. Jane Covode attended Smith College and the University of Illinois and received her MBA from the University of Denver. Her professional career was spent in nonprofit management. She was a consultant with the Technical Assistance Center of Denver and the Executive Director of a statewide association of nonprofit organizations that served people with developmental disabilities in Colorado. Volunteer commitments included serving as President of the Junior League of Denver, board membership of the Denver Justice and Peace Committee and three years spent in Chiapas, Mexico and Guatemala as a human rights accompanier to Maya indigenous survivors of the genocide in Guatemala. Currently retired, Jane is the mother of three and grandmother of five children. Marianne Moberly is a graduate of the University of Illinois Champaign-Urbana with a BA in Urban and Regional Planning. She began her career working in municipal government before moving to the non-profit field where she served as director of two non-profit organizations. Taking a "time out" from the full-time work force for ten years, she focussed her energies on volunteering in her children's local public schools. She was instrumental in raising funds for literacy and the arts and co-founded and managed an Artist in Residence program. Her deep commitment to at-risk youth led her to return to the workforce in an administrative role at an Evanston-based youth development agency where she has served since 2009. KIDS Global Network reflects her interest and commitment to youth and the arts and she has been a board member since its inception. Russ received his BA in economics from Colorado College and his MBA from the University of Chicago. Russ has lived in Evanston for over 25 years and has been an active volunteer in a variety of local school, church and youth programs. He currently works at Neuberger Berman as a high yield bond portfolio manager. Miguel is a graduate of the University of Illinois at Urbana-Champaign Graduate School of Information Sciences. As a professional, he's had the opportunity to work in diverse information environments including public, academic, and special libraries. Currently he serves as the Information Services Supervisor at the Skokie Public Library, where he leads efforts in transforming reference, information, and technology services. He has an extensive background in issues of equity, diversity and inclusion in libraries and in communities and currently sits on the American Library Association National Committee on Diversity, and the Illinois Library Association Diversity Committee. 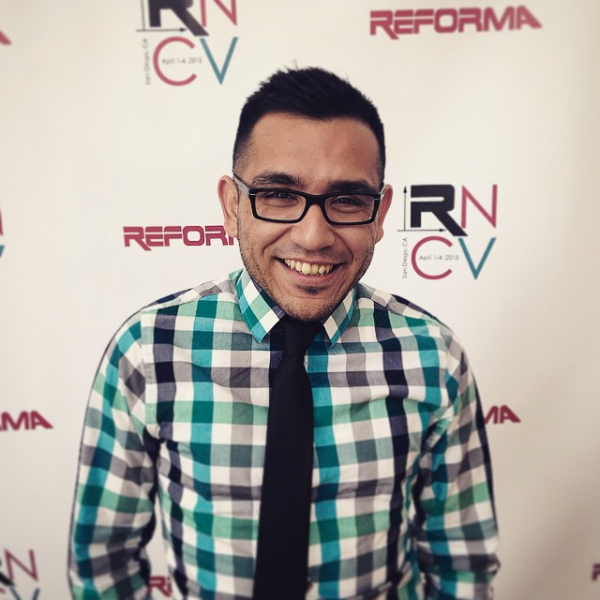 He has also served as the Membership Co-Chair for REFORMA, the leading national association promoting library services to Latinos and Spanish-speaking. Cameron is a sophomore at Northwestern University, studying psychology and history. In high school she began researching and participating in social justice movements, and covered many such events and happenings for her high school newsmagazine. She currently writes for the Daily Northwestern and curates a blog focused on healthy eating and mental health awareness.